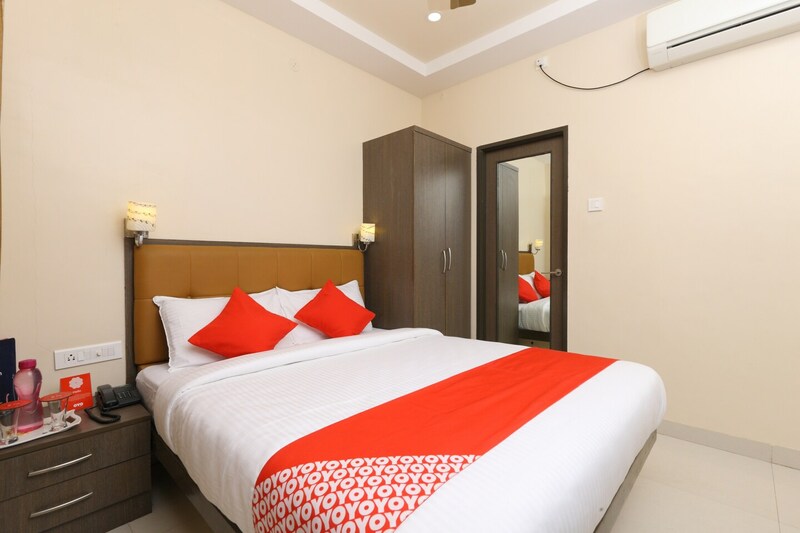 Kalyani Grand is quite popular among travelers visiting Chennai and looking for comfortable accommodation options that can be booked without feeling a pinch in the pocket. The rooms are well-furnished and use a number of elements of the contemporary designstyle. The rooms are well-lit also as artificial lights have been positioned well throughout the room. The hotel also provides some extra facilities such as CCTV cameras, card payment in all forms, parking provisions, an uninterrupted power backup supply, and free Wifi. the front desk service of the hotel has been decorated very elegantly and can be easily located. It is manned by experienced staff and is surrounded by a well-furnished reception.